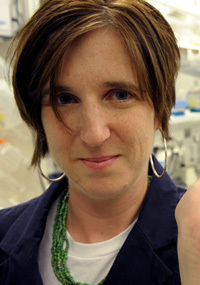 Jessica Hellmann, associate professor of biological sciences and a national authority on climate change adaptation at the University of Notre Dame, has been named a Leopold Leadership Fellow. The Leopold Leadership Program is the nation’s premier competitive fellowship for outstanding environmental scientists who are also actively engaged in outreach to decision makers and the public about their work. Hellmann has extensive expertise on the impacts of climate change and novel solutions about how society and ecosystems might adapt to those changes. By studying butterflies and the plants that they eat, she has been able to identify which species are likely to adapt as the climate changes and which may decline and even go extinct. 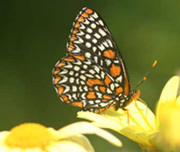 Hellmann has discovered several processes that limit natural movement of some butterflies, increasing the odds that they will decline or die out as the climate shifts. Based at Stanford University’s Woods Institute for the Environment, the Leopold Leadership Program uses media training and other exercises to help academic scientists make their knowledge accessible to policymakers, journalists and the general public. The program is funded by the David and Lucile Packard Foundation. Each year, the Leopold program selects up to 20 mid-career environmental scientists as fellows. The fellows are chosen for their outstanding qualifications as researchers, demonstrated leadership ability and strong interest in communicating beyond traditional academic audiences. Hellmann, who is also a program leader in Notre Dame’s new Environmental Change Initiative, will participate in two weeklong training sessions where fellows take part in mock media interviews and meet with policymakers in Washington, D.C. The fellowship also offers peer networking and mentoring through the Leopold Leadership Network of program advisors, trainers and past fellows. Hellmann’s goal is to predict climatic impacts on endangered and culturally and economically important species, and she is working to find ways to help these species deal with climate change. Because detailed climate study in every ecological system would be a daunting task, her research compares butterfly species and the plants that they eat in western North America. These butterflies live in the same climate but differ in their ecological lifestyles, providing an enlightening contrast. Her work tells us that species respond to climate change in unique ways and that many species may be vulnerable as the climate changes. Her work also helps managers design effective strategies for preserving species, and her research shows why reducing global warming is important to protecting the beauty and function of nature.